We care about good home cooking (and its potential to change the world for the better). Here’s a closer look at what we believe in and why we do what we do – from the way our brand looks to how we source ingredients and create recipes. It’s all about bringing people together over a good, home-cooked meal. We believe in bringing the goodness back: good food, good quality, good company, and good times shared. Goodness starts with great ingredients that taste amazing. Ingredients you turn into delicious, balanced meals, without the need for complicated recipes, a professional chef’s kitchen or hours of cooking time. Our easy-to-follow recipe cards make cooking simple. And that means you can focus on spending quality time with the people that matter most to you. But what does “good food” really mean? It isn’t a one-size-fits-all thing. To one person, good food might mean 100% British meat and plenty of seasonal vegetables. For someone else, it’s a quick, tasty meal that the whole family can enjoy. Or perhaps it’s about recipes that let you experience new tastes and flavours for the first time. Because of this, we care about giving you choice: you pick the recipes you want (and when you want them), and can enjoy delicious meals to make and share at home. We believe food is more than just fuel for our bodies. Sharing a meal with the people you care about turns eating into a broader, richer experience. 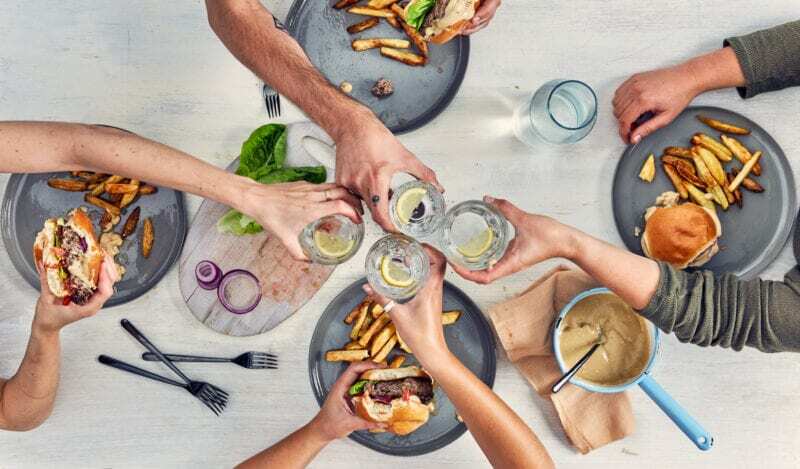 Food brings people together, creating powerful memories and closer relationships that last long after you’ve cleared the table. In a nutshell, food is all about togetherness. Society only really kicked off when people started cooking. Sat around a fire thousands of years ago, baking bread or roasting meat – that’s how people learned to share, to bond, and to form communities. We’ve come a long way since the days of caveman cookery (unless you’re counting the Paleo Diet! ), but as our love-hate relationship with technology grows, we spend less time in each other’s company and more time stuck to our screens. 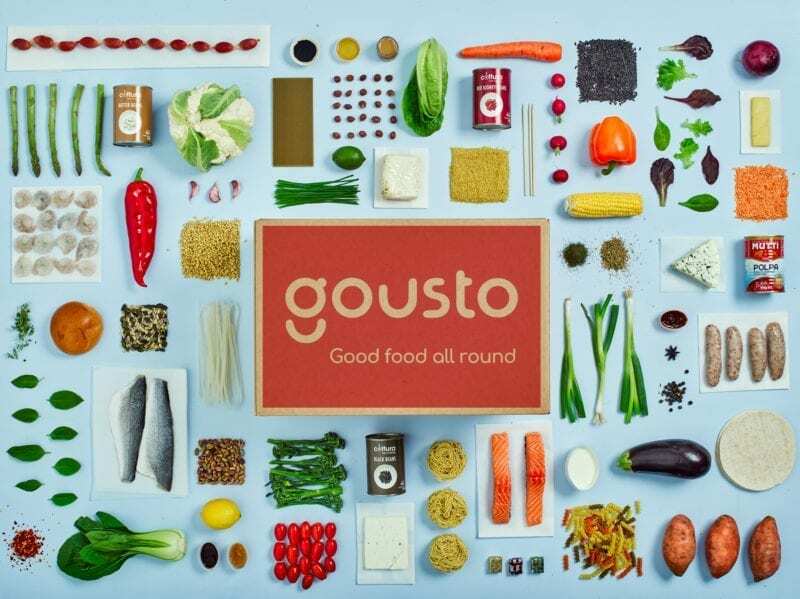 Gousto makes it easier to bring people together, sharing conversation and making new memories over good food. We believe in building long-term relationships with our customers and with suppliers who share our values. We’re working to reduce food waste, and to make a positive impact on the environment. We are growing a sustainable business. We’re in this for the long haul. We’re constantly sourcing new ingredients, coming up with exciting new recipes, and improving our service. That means you can always look forward to your Gousto recipe box, whether it’s your first or your 100th. We’re also committed to creating meaningful relationships with trusted farmers, producers and suppliers who care about quality and sustainability as much as we do. As our business grows, so does theirs: win-win. We reduce food waste with perfectly measured ingredients. The Woolcool insulation in your box makes great compost (knitwear, not so much…). We source seasonal vegetables and local produce whenever possible, reducing the ‘food miles’ our ingredients travel from farm to fork. We use one of the top three leading environmental printers in the world for printing our recipe cards – they were the world’s first zero-waste printers! There’s too much confusing information about food out there. We’re here to cut through the noise with clear nutritional advice, easy-to-follow recipes, and perfectly measured ingredients. We’re not trying to sell a miracle cure, or take advantage of the latest food fad. We’re offering a simple way to cook good food at home. We are – and always will be – transparent about our food, our service and what we’re doing to make things better. For instance, we have increased the meat and vegetable portions in many of our recipes, we feature posts with advice and ideas from our nutritionist on the blog, and we recently introduced recipes for people who have specific dietary requirements (like gluten-free). Good food doesn’t need to be complicated – we make it simple. (And tasty). We believe everyone can cook and eat a good meal. Trust us to help you make the cooking bit work – and trust yourself to make it work for you. 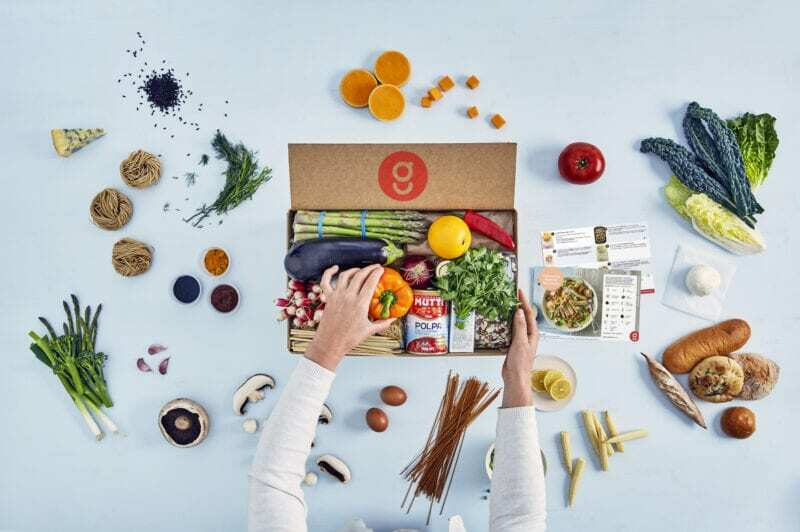 With Gousto, you’re in control. 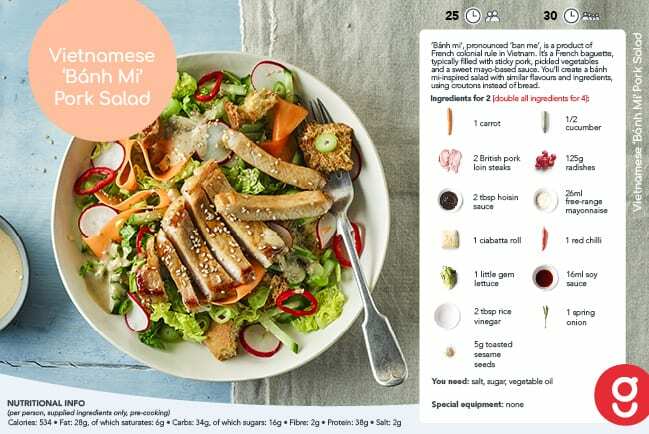 We have up to 40 recipes to choose from each week, and categories to help you find what you’re looking for: Lighter, Quick & Easy, Vegetarian, Family Friendly and Gluten Free. On a health kick, or fancy a treat? Need something for a fussy teen or a quick weeknight dinner? We’ll have what you’re looking for. 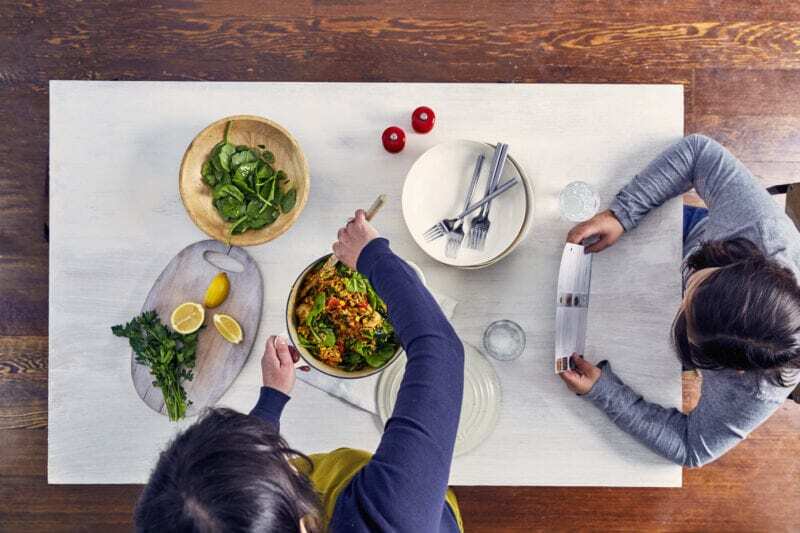 But you’re in charge of more than just choosing your recipes – Gousto fits around your schedule. You can pick any day of the week for your recipes to arrive, and choose how often you want to receive boxes. If you’re regularly putting meals on the table for the family, then a subscription might be perfect. More of an occasional Gousto cook who’s looking for inspiration? You can order as and when you want.